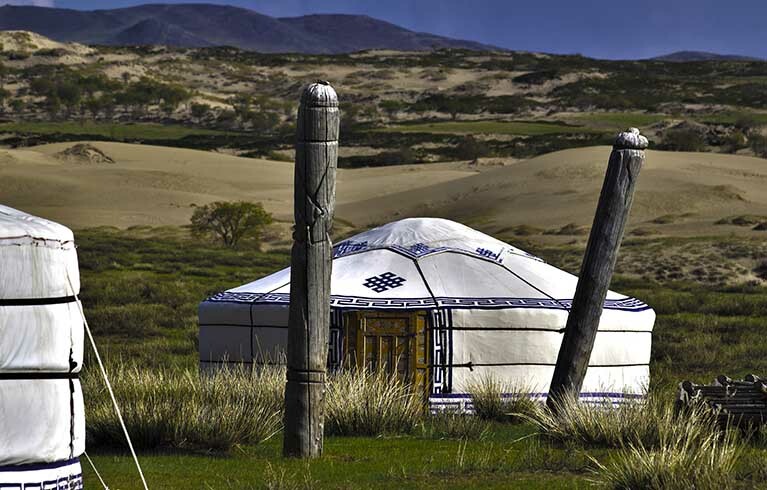 Visit the Gobi Desert and the Orkhon Valley with the comfort of nights in yurts + a domestic flight. 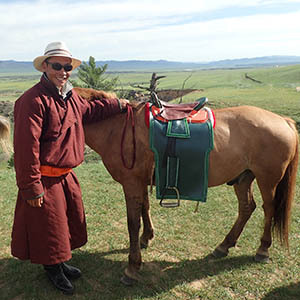 Exclusive: an itinerary horse riding tour with all nights in the comfort of yurt camps. 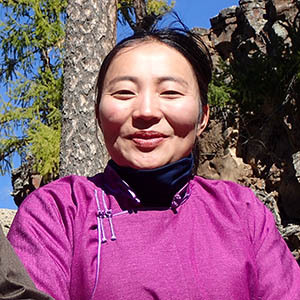 North to South, from Lake Khövsgöl to Gobi Desert in a 20 days adventure. 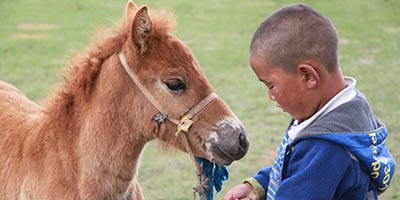 Visit Mongolia with your children! 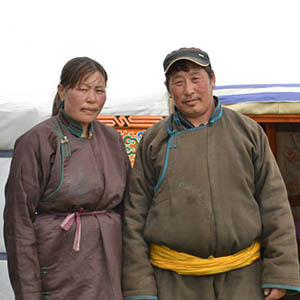 Share wonderful moments and emotions with the nomads. 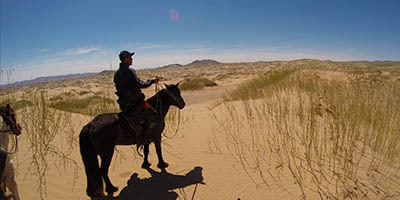 This tour combines hiking and horse riding (OK for novice riders). 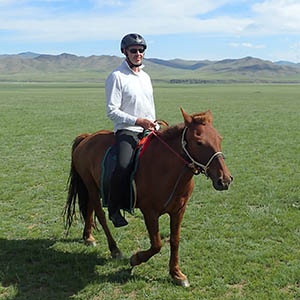 Try your first gallop in Mongolia! 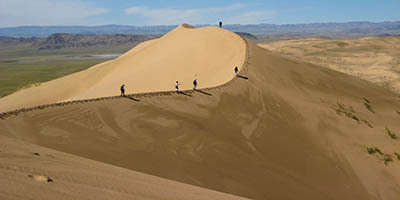 Ride in 2 different landscapes: Bayan Gobi dunes and the Orkhon Valley. 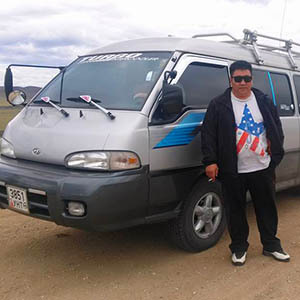 Travel in Mongolia means Freedom. 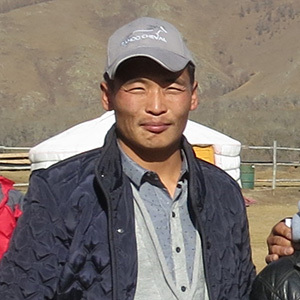 Freedom for millions of horses, yaks and sheep in this endless steppe. 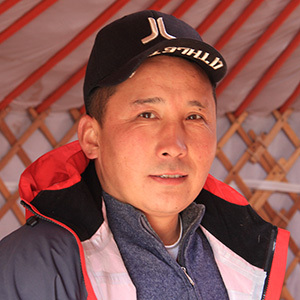 Freedom for nomads who have been living in their yurts for centuries in the wild. Do you dream of following them? 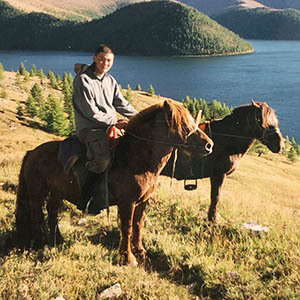 Mongolia is your next travel destination, perfect for nature, travel and horse lovers. 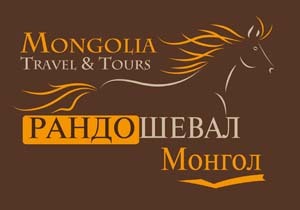 To fulfill your dream, Randocheval (French leader of equestrian holidays) created its own local agency: Mongolia Travel & Tours. - The guarantees of a French travel agency and the protection of the French Law. 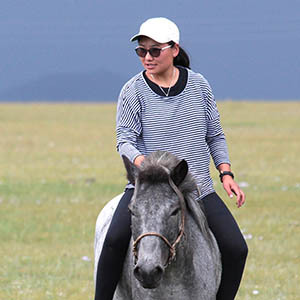 Unique: 100% yurt Horse riding tour! 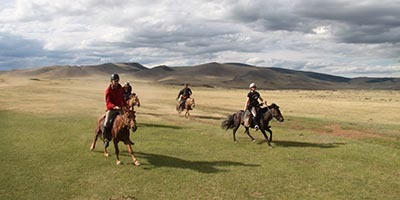 Enjoy the fun of a horse riding tour in Mongolia with the comfort and beauty of nights in traditional yurts... This is a real horse riding trail, NOT a stationary ride! 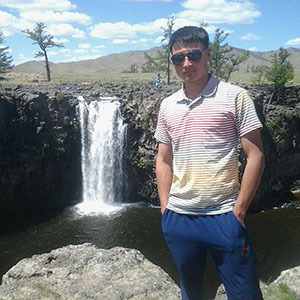 Wondering how you will sleep, what you will eat, what you will do during a trip in Mongolia? 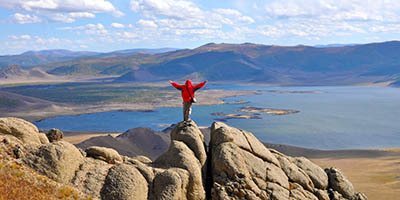 Just check our FAQ's about our tours in Mongolia! 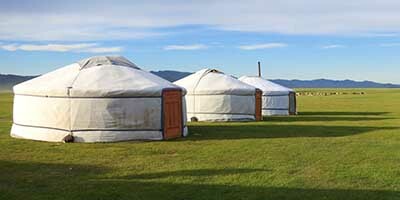 In Mongolia, you won't find hotels in the countryside: the only options are camping or staying in yurts (called gers). For our adventure tours, we use the most complete and recent camping equipment, as you can see in the first video hereunder. For our comfort tours, you will sleep in traditional yurts, either in touristic yurt camps, or in guest-yurts close to nomadic families. See what a yurt camp looks like in the second video hereunder. 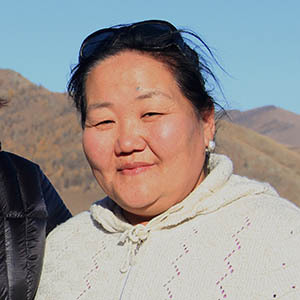 Our unique team of Mongolian and European travel experts gives you "the Best of Both Worlds": our Mongolian colleagues know Mongolia's best kept secrets, and our European colleagues know the traveller's dreams, needs and requirements. 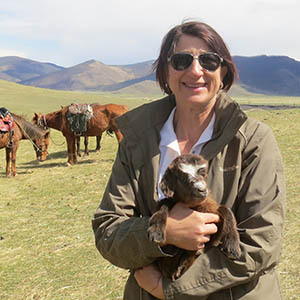 Mongolia Travel & Tours has 2 offices: one in Ulaanbaatar (Ulan Bator), where Amgalan, Bataa and their team are in charge of arranging the tours, and one in France, where Sabine, Thomas, Rebecca and Julia answer to your questions 6 days a week. Please read carefully the answers to the following questions. 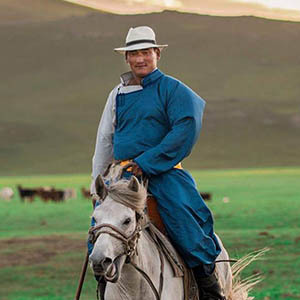 Mongolia is a very unique travel destination, and even if you are used to travel a lot, it's very important for you to know precisely what you can expect from your trip. A good preparation is essential to make sure your tour lives up to your dreams. GUARANTEES - I am afraid to book through internet, which guarantees do you offer? ACCOMMODATION - Where will I sleep? 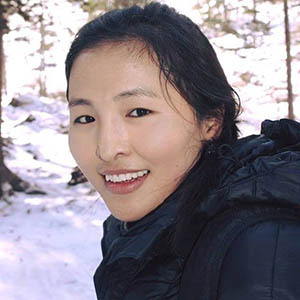 How is the accommodation in Mongolia? TRANSPORT - How are the road conditions? What about transports during the tour? NOMADS - How can I socialize with the nomads? YURT - How to behave in the yurt of a nomadic family? HORSES - Will the horses be used to English or Western riding? HORSES - Which equestrian ability level is required for your horse riding tours? HORSES - Which kind of saddles do you use? PHOTOS - Can I take pictures of the nomads? SHOPPING - Which souvenirs can I bring home? SUSTAINABLE TOURISM - How do you help local nomadic communities?